Is Harleen Sethi Not Over Her BreakUp With Rumoured Ex Vicky Kaushal? This Poem by Her Makes Us Feel So! 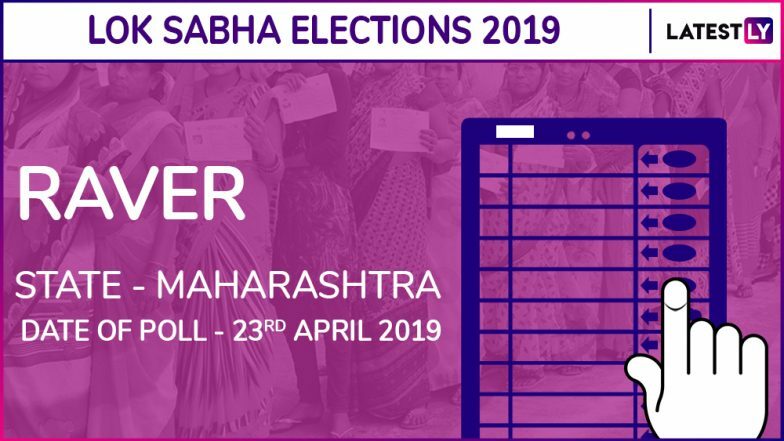 Mumbai, March 23: Raver Lok Sabha seat, one of the 48 parliamentary constituencies in Maharashtra, will go to polls on April 23 in the third phase of general elections. The counting of votes for Raver Lok Sabha election result will take place on May 23. Stakes are high for the Bharatiya Janata Party (BJP) in Raver from where senior party leader Eknath Khadse's daughter Raksha Nikhil Khadse is the sitting Member of Parliament (MP). The BJP has renominated Raksha from Raver Lok Sabha seat. In the 2014 Lok Sabha elections, she defeated Manish Jain of Nationalist Congress Party by a margin of 318608 votes. Raksha will have the backing of the Shiv Sena. It is not clear whether the Congress or the Nationalist Congress Party (NCP) will contest from Raver. The two parties have formed an allaince. In raver, the process of filing nomination will begin from March 28. The last day for nominations would be April 4. Maharashtra Lok Sabha Elections 2019 Dates: Constituency-Wise Complete Schedule Of Voting And Results For General Elections. Scrutiny will be done on April 5 and the last date for the withdrawal of the nominations will be April 8. The BJP and Shiv Sena are contesting 25 and 23 seats respectively in Maharashtra. The Congress will contest 24 and the NCP 20, as per the seat-sharing agreement between the two allies. Check Full Schedule of Lok Sabha Elections 2019. Lok Sabha elections are scheduled to be held in seven phases - on April 11, April 18, April 23, April 29, May 6, May 12 and May 19. Prime Minister Narendra Modi led BJP is seeking a second consecutive term.